When people shop for apartments, they often go directly to apartment facilities. Your apartment signs are the first thing they usually see and signage can be a welcome invitation or a visual disturbance that discourages people from calling your office. In fact, signs are so important that they can make or break a rental business when the market is difficult. 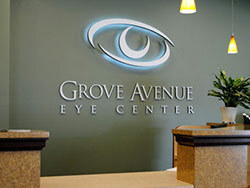 Here are four things you can do to your signage to make good first impressions. Stand outside your facility and read the signage. What kind of impression does it make on you? Can you read everything clearly and easily? Next, drive by your buildings and see if you can read the apartment signs from your car. If not, you need to take action to increase visibility, because you could be losing out on business. The best designed and manufactured signs can’t do their job if you don’t place them in the right locations and at the right height. People shouldn’t have to strain to look up or down to read your signs. Suppose someone sees your apartment complex and likes what he or she sees. If you don’t have a phone number clearly visible, they don’t know who to contact for an inquiry. If you make potential renters do extra work like looking up your contact information, they may get sidetracked and forget about you. Meanwhile, they may come across an apartment building with clearly visible contact info on the apartment signs, and you just lost a renter. What do you think of when you see a sign in need of repair? You might think the entire facility is in the same condition. This is not the kind of impression you want to make, so practice good sign maintenance. If you are looking to update your apartment signs. Give us a call at (805) 641-1387 or contact us online to see how our expertise and exceptional service can get you the signs you are looking for at an affordable price.